This article continues our series on the crisis in ostensibly evangelical Bible colleges. That is, many of their lecturers have evolutionary worldviews, which have baneful repercussions on their entire theology, not just about origins. Previous articles include Crisis in the colleges: A call for reformation. Of course, in these articles, it will be necessary to provide specifics; otherwise, the claims would be merely hearsay and anecdotal. The aim is not to single out the named colleges, nor to imply that they are the worst colleges around. These articles also show that one cannot totally rely on any particular College’s Statement of Faith without, for example, written assurance that all teaching staff abide by it. Obviously, if not all do, such a Statement is not meaningful, even though it still serves to ‘reassure’ (anaesthetize?) an institution’s evangelical donors, as well as parents and churches likely to assist students financially. In another course, he used the thoroughly scientifically and ethically discredited book Telling Lies… by the antitheist Ian Plimer to attack biblical creation. None of this seemed to concern the Tabor administrators, who responded with the very sort of obfuscatory politicese that we warn about. However, maybe the evidence below will concern them: a program on the ABC where Worthing was billed as from Tabor, and said many things that would alarm Tabor’s donors. ‘Explore the possibilities of life on other planets and what it could mean to religion and beliefs here on Planet Earth. Did Christ die for the Martians too? Which life-forms have a spiritual dimension? Has our new knowledge of space meant a convergence of science and religion? We have documented the taxpayer-funded ABC’s anti-Christian bias before (e.g. Catalytic reporting: An Australian science show flags its bias and Atheists Blast Christianity). This program is no exception: the Canadian-born commère Rachael Kohn is ardently anti-Christian—her book The New Believers: Re-Imagining God includes chapters ‘Jesus was a Man’, ‘God was a Woman’, ‘The Soul is Clinical’ and ‘Morality is Dead’, and is praised by John Shelby Spong—‘nuff said! No wonder the ABC loves her. We also noted how atheists just love to parade compromising churchians who undermine their own professed faith, e.g. A Wolf Among the Sheep , where ‘Judas II’ is at it again. The following posts the most heterodox comments with my response. Mark Worthing : ‘It depends on one’s perspective. Actually, Galileo confirmed the discovery and suspicions of Copernicus. But he caught the flak for it. And I don’t know if God is in retreat, but the Church for a time seemed to be quite worried about it. And I think it took people a while to distinguish between the Church’s official response and God, that God is quite capable of speaking for Him or Herself [emphasis added]. And indeed, God has spoken in Scripture, and makes it clear that He is to be referred to in the masculine pronoun, as well as comprising the Father, Son and Holy Spirit (not mother and daughter). Tabor’s donors and prospective students should be concerned if this politically correct feminist theology is part of Worthing’s courses. Galileo has long been an excuse to compromise Scripture, but we have thoroughly addressed this canard. RK: Mark, if life were discovered on Mars, what would it mean for our understanding of God, and for Creation? Would we have to rewrite the biblical account of Creation, or find some lost book like the Mormons did? MW: but in reality, when you think about it, the Christian Scriptures and the major teachings of other world faiths have never talked about there not being life on any other planet. Here the Bible is put on par with the writings of other faiths. The sacred books of other faiths are of little consequence, since they are not God-breathed. However, that there is no intelligent life on another planet is a logical deduction from Scripture, as we have shown in The Creation Answers Book, ch. 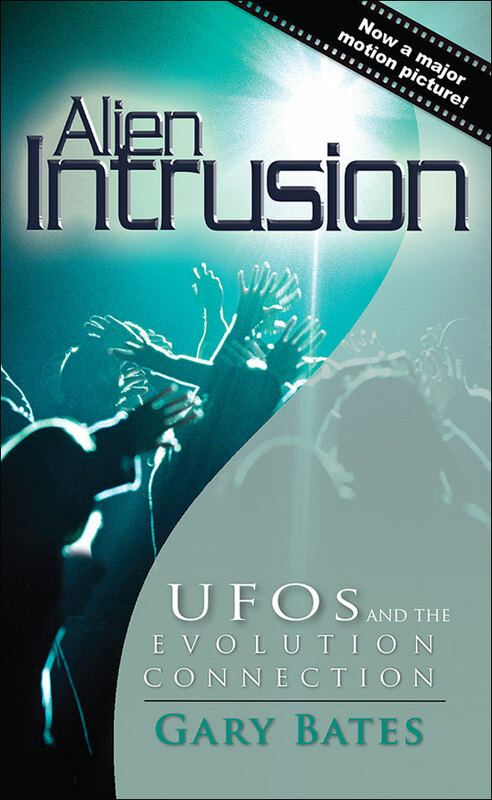 9 and in the comprehensive treatment given in the best-selling Alien Intrusion by Gary Bates—where he demonstrates, incidentally, that even Mormon theology has it roots in ‘way out’ extraterrestrial beliefs. For a summary, readers may also be interested in a recent debate about whether God created intelligent alien life forms in Science and Theology News, which seems to have liberal leanings (Templeton-supported). I took the negative side; while the affirmative was supported by Guy Consolmagno, ‘a Jesuit brother and astronomer at the Vatican Observatory’ (neither of us saw each other’s article before publication). It is instructive that Consolmagno admits that even the most compelling biblical evidence he can find for ETs most likely means something completely unconnected. MW: And many are quite surprised by this, but three or four hundred years ago it was the common perception among Christian theologians and thinkers that there was life on other planets within our solar system. Those who actually questioned that were seen as being heretical thinkers and pushing against the grain. People came to terms with that quite freely. Of course, with advances in science we’ve found that the other planets in our solar system look a lot less hospitable than imagined and that idea dissipated and now it seems a strange idea to us. And of course, we haven’t found the slightest evidence for habitable planets around any other stars either. Indeed, extrasolar planets suggest our solar system is unique and young, and provide many problems for the very evolutionary faith Worthing teaches. MW: But if it’s confirmed for instance that there was, or even still is, bacterial life on Mars, it’s going to cause people to think about the place of humanity and the earth and the whole scope of things, but it’s not going to change, from the perspective of faith, our view of who we are before God. Of course, as we have documented, the claims are spurious, but even if there were living organisms from Mars, they likely came from Earth anyway! But the belief of life on Mars is still inspiring missions at huge taxpayer expense. MW: We just have a wider view of God, that God could actually have more going on than just us, which is hard for us to think about—it’s like the child discovering that their parents have more going on than the child’s life—a bit of a shock, but perhaps part of growing up. RK: Let’s talk about finding intelligent life out there in outer space. What if you discover that intelligent life forms in outer space have no religion? Some people would say that’s likely. MW: Yeah, that’s … I guess it’s all very speculative. If we found intelligent life that would be quite exciting. If we found they had no religious perspective … I suppose for myself and other people’s religious faith, it’s probably not going to bother terribly too much. And then it becomes a question, you’d expect we’re going to sit down and have a bit of a chat with them like this and say: ‘Let us tell you what we believe.’ And, you say, well, that’s kind of cheeky of us. Dr Worthing does not seem to be confident that Christian doctrine is actually objectively true. Jesus is ‘the way the truth and the life’ (John 14:6). There is nothing cheeky (arrogant) about proclaiming what God has revealed to us, because it is the truth. The authority of what God said does not depend on our believing it. MW: But I encounter people all the day who are highly intelligent, who don’t have any open commitment to a particular religious faith. That doesn’t shake my own religious faith, nor does that bother me that they have the right to do that. Of course not, because Worthing has apparently accepted the fact-value distinction , just like the atheist Stephen Jay Gould (who now believes there is a God—because he’s dead (cf. James 2:19)) and Don Batten in his younger days, a position he now emphatically rejects. That is, of course it doesn’t bother Worthing, because to him, faith is merely personal rather than objectively true, so it can’t be falsified by real-world events. Certainly, Worthing is not the only one who feels the need to reinterpret (a euphemism for disbelieve) Scripture ‘just in case ETs land’. However, this is no different in principle from the liberals like Marcus Borg who try to butcher the account of the bodily Resurrection so much that it would not be disproven if Jesus’ bones were found. But denying that the resurrection was truly physical, the Resurrection becomes meaningless, entailing that Jesus really had no power over death or sin, and Christian faith is futile (1 Cor. 15:17). 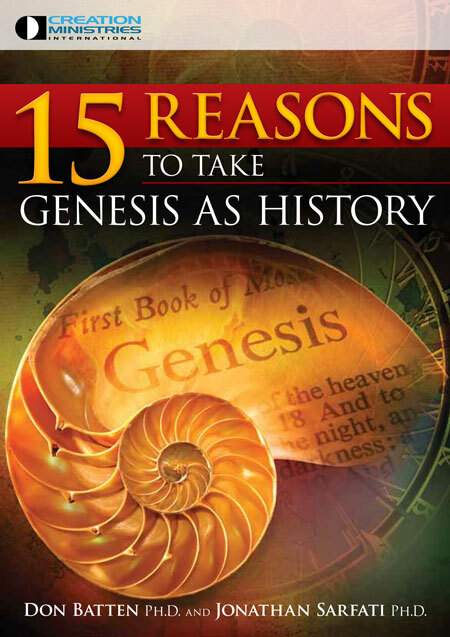 Worthing does much the same to Genesis and the rest of the Bible that depends on its historical reality. MW: So I wonder why should it be different if I find a civilisation out there—or it finds us is more likely—that doesn’t have any kind of open religious faith? It’s probably better, because if they have a religious faith, it’s probably going to be a lot more advanced than our kind of thinking. … They are complete and must not be added to, subtracted from or changed because of tradition or supposed new revelation. Anything that is not in Scripture must not be declared to be believed as an article of faith or be considered to be necessary for salvation. Indeed, the Scriptures state, ‘but in these last days he has spoken to us by his Son’ (Heb. 1:2). This entails a finality of God’s revelation in Christ, and by implication, the Apostles He commissioned to write the New Testament. There is no room for aliens bringing in advanced revelation that supersedes the Son’s. The very idea that aliens could have a religion ‘more advanced than our kind of thinking’ rests on the evolutionary notion of the development of religious ideas as man’s (or the alien’s) intelligence supposedly evolved. Again, this undermines the concept of truth being revealed by God to us in Scripture. MW: They’re gonna have a lot of appeal to what … we’re going to have this huge alien invasion of faith. I think most religious people would probably feel more comfortable if they came with a blank slate and no particular religious commitment. It is no accident that most science fiction writers have an anti-Christian bias, and this motivates them to belittle the uniqueness of Earth as the centre of God’s activity. A notable example is H.G. Wells, who supported not only evolution but eugenics. Star Trek is another notable example, reflecting the humanist and relativist philosophy of Gene Roddenberry (see Strange New Worlds: The Humanist Philosophy of Star Trek; note I write as an ardent Trekkie). RK: What is this preoccupation with advanced and evolved intelligent life forms? What if, you find out there that the intelligent life forms are about at the level of, maybe, cows, or pigs, or cockroaches? When do we decide what is an intelligent life form and do we reckon that an intelligent life form in outer space is a cockroach, but at home we exterminate them? MW: … because, even at our ability, it takes so long to send a message out into space, and then to get a response, that human civilisation as we know it might have disappeared by the time the response comes back. You know, we open the chess game, with, y’know, king pawn to king pawn 4, and there’s no-one left to receive the response when it comes back. So if we actually have contact, I think the assumption is that it’s going to have to be a species that actually finds us, or that sees us searching and has a lot more technological ability than we do, that’s able to communicate with us in a way that we can’t yet comprehend, or is able to travel through space in a way that we’re not yet capable … to conceive of. Of course, this relies on evolutionary assumptions. By contrast, the Bible states that God created the earth on Day 1, and heavenly bodies on Day 4, and humans on Day 6, so any supposed aliens could not have been around any longer than people to have developed to this much higher plain of intelligence. RK : Gee, you know, this really sounds like the early explorers who went to the New World and were certain they were going to meet the lost tribes of Israel , or some other benign and wonderful lost race. Aren’t you just a little bit too optimistic? It’s a shame that Worthing doesn’t follow Tabor’s professed policy of basing every theological discussion on Scripture. RK : Let’s talk about the big bang. The big bang, and creation—are they the same thing? MW : Obviously, as a Christian theologian, if the universe began in the big bang, and the evidence certainly points to something like that, then that’s obviously, I accept, as part of the mechanism that God brought things to be the way they are. This ignores the strong evidence against the big bang adduced even by secular astronomers, as well as its gross incompatibility with Scripture (see Secular scientists blast the big bang: What now for naïve apologetics?). MW : But creation … is much broader than that. The idea of creation, the concept explains why there’s something instead of nothing. The big bang explains why there’s a universe, and the present universe that we have; but doesn’t explain why there’s laws of physics, why there’s something to explode and begin expanding in the first place. And so creation is an even more fundamental concept and an even more difficult one to really wrestle with. It’s quite mind-boggling actually. It’s certainly true that the big bang doesn’t answer these questions. Nor does it explain specifics like galaxies and stars, without which there is hardly anything left of the universe (see Dismantling the Big Bang). RK : The biblical creation story puts humankind at the centre of it. The big bang doesn’t necessarily put us anywhere, does it? I mean, are we here through purpose and design, or are we accidental? MW: It depends on one’s perspective. Spoken as a true postmodernist. Of course, the Scripture is God’s Word to man, designed to teach us ( 2 Timothy 3:15–17), so He wants us to understand what He actually means, not what we would like it to mean, as also explained in 2 Corinthians 4:2 and Proverbs 8:8–9, as I’ve explained to another post-modernist. This includes a reductio ad absurdum to Worthing ’s approach. MW: The physicist John Wheeler actually has a theory that the universe actually creates itself by developing intelligence and looking back and contemplating itself and its existence, which becomes causative. So, it depends on how one interprets that. It’s the same with the biblical account. Many interpretations of the biblical creation account say human beings are at the centre of it but others say no, that’s misunderstood, or not quite so. That’s, you know, what would you think? If we were chimpanzees we might have a totally different reading of the story. Right, so these hypothetical chimps could read the passages on the uniqueness of man as teaching the uniqueness of chimps? No, they would presumably propose that they are false, which is far more honest than claiming that they say something they don’t! Of course, we know that chimps will not be reading Genesis or anything else, which reinforces the distinction between humans and animals. No, it’s because humans are made in God’s image, unlike animals, and God gave mankind dominion over the rest of Creation (Gen. 1:26–28). MW: And, so, it’s, once again, a matter of perspective, I think. Only in the sense of does one believe God’s word or not! QUESTIONER FROM THE FLOOR : You said earlier that if you were to discover, like, an intelligent life form in another universe that you’d expect them to be an ethical race or whatever because of the physical boundaries around them. Now, by that rationale, isn’t it also possible that the human mind is adapted in a way that it can’t comprehend these subjects at all and that God is just a symbol for what we can in no way understand? MW: Anything’s possible. And I wouldn’t be honest if I didn’t say that that has to be a possibility. A bizarre statement from a Dean at an ostensibly evangelical college. Again, the idea of revelation does not seem to be entertained. Is the Christian faith just something we have dreamed up, or is it the result of God’s revelation? An informed evangelical would have pointed out that without the God of the Bible, the questioner has no objective basis for trusting his own reasoning, let alone science or morality, therefore no basis for reasoning as he has. MW: It’s my firm personal belief that God is just as real, although experienced differently, as the physical universe, to me. MW: But I can’t come and prove that absolutely to you and nor can I say that it’s an invalid theory to suggest that the concept of God is something that’s developed that’s very useful to help us survive that’s a projection. That’s not where I’m coming from, that’s not where I’m at, but I’d be wrong to say that that cannot be possible, that that cannot be mentioned. Of course, evidentialist approaches fail, but presuppositional apologetics uses a reductio ad absurdum to show the inconsistency of all non-biblical belief systems. What a poor witness to the secular world this is, when a Dean at a leading ostensibly evangelical college gives such wishy-washy ‘answers’! [ANOTHER] QUESTIONER FROM THE FLOOR: I go to church on a reasonably regular basis, and I’m finding these days that it’s a little bit difficult for me to say the Creed. And I’m wondering, and especially having attended this conference and hearing scientists and theologians talking, I find it’s very difficult to say ‘I believe’ or the Church to expect me to say ‘I believe in this’ because I’m an individual human being, and I’d like a comment from you. This is a classic example of how compromise shipwrecks people’s faith—see this testimony by ‘Joel Galvin’ and this account of a famous evangelist’s tragic slide into unbelief. The conference this gentleman refers to (which included this interview with MW) is hosted biennially by a large regional city church. The conference runs over several days and is billed as an ‘International Philosophy, Science and Theology Festival’. Obviously, they can’t be complementary if they have contradictory answers to the same questions, e.g. the age of the earth, the sequence of life upon it, the origin and purpose of man, the cause of death and suffering. The articles under Theistic Evolution Why is evolution so dangerous for Christians to believe? explain further. MW: Of course, historically, creeds are developed, and they go back hundreds of years and there’s two or three main ones in the Christian Church. Many are familiar with the words “I believe in God the Father, Almighty Maker of Heaven and Earth” and it goes on, and we tend to say that together as a sign of unity, that it’s not an entirely individualistic thing, but together, this is something we all confess and believe. But, of course, the other side of the coin is, it can be difficult, if you’re saying: “I’m not sure I actually understand or believe that I can say that”. And it’s not necessarily a bad thing that people experience that from time to time. Luther said many things, including creation in six normal-length days less than 6,000 years before his time, not that this seems to matter to Worthing despite being in the Lutheran church. And the above has some merit (Jude 1:22), because doubt may lead to resolution, e.g. the firm confession of ‘doubting Thomas’ (John 20:24–29; note that neither this passage nor any other identify biblical faith with credulity, or disparage logic). However, this is different from doubt for its own sake (James 1:6). MW: If intelligent life exists elsewhere in the universe, how would Christ relate to such beings? Would the event of God’s incarnation need to be repeated on each of myriad planets? If so, would this undermine the uniqueness of the death and resurrection of Christ? Over the centuries, several models for dealing with this situation have emerged. One model, put forward nearly two centuries ago by Timothy Dwight, suggests that the fall was unique to our planet, and therefore the incarnation and atoning death of Christ were also unique to Earth. According to this view, life on other planets would remain in an unfallen state. This has the huge problem that these hypothetical unfallen beings were still affected by Adam’s sin, since the Fall resulted in the Curse on the whole creation (Romans 8:18–22)—see also The Fall: A cosmic catastrophe. Why would it be necessary for God to recreate a new heavens and Earth if the Fall was specific to the earth (Isaiah 65:17, 2 Peter 3:12)? MW: Another model comes from Comte Joseph de Maistre (1754–1821). De Maistre claimed that we could not know whether the inhabitants of other worlds are in a state of original grace or in a fallen state. If, however, they are in a fallen state, the unique incarnation and atonement of Christ is also sufficient for them. However, the basis of Christ’s atonement is that He came directly down from Heaven (John 6:38,41,42,50,51,58) to take on the nature of the one who sinned. This was so a sinless human was punished for the sin of humanity as a Substitute ( Isaiah 53:6,10 ; Matt. 20:28; 1 John 2:2,4:10. This involved explicitly taking on human nature, not taking on angelic nature ( Hebrews 2:11–18), or Vulcan, Klingon or Romulan nature for that matter! This is to fulfil Isaiah’s prophecy of the coming Messiah as literally the ‘Kinsman-Redeemer’, i.e. one who is related by blood to those he redeems (Isaiah 59:20, which uses the same Hebrew word גוֹאל (gôēl) as is used to describe Boaz in relation to Naomi in Ruth 2:20, 3:1–4:17). So only Adam’s descendants can be saved, because only thus can they be related by blood to the Last Adam. Also, in his great Resurrection Chapter of 1 Cor. 15, Paul explicitly linked the resurrection of the ‘Last Adam’ with the death brought by the ‘first man’, Adam—not the first Vulcan, Klingon etc.! MW: In the middle of the twentieth century, the physicist E A Milne proposed a variation of de Maistre’s model that might well be dubbed the ‘missionary’ model. Milne argues that both the Christ-event and our planet are unique and that the Son of God suffering on myriad planets could not be imagined. The way out of the dilemma, Milne suggests, is in the possibility of communication between distant solar systems, and even galaxies, via advanced radio signals. The time needed for such a message to travel even to nearby star systems, however, poses its own difficulties. The famous Arecibo message sent in 1974 to the M-13 Nebula, a cluster of 300 000 stars some 25 000 light years away, is not due to arrive for another 35 000 years. So we shouldn’t expect a quick response to any interstellar evangelistic efforts! How would we explain the kinsman-redeemer idea? Actually, the huge distances between stars is an insuperable obstacle for any type of alien communication or transport—see God and the Extraterrestrials . MW: A final model suggests the possibility of multiple incarnations of the second person of the Trinity in a number of life-forms on as many planets as contain intelligent and fallen beings. Such a model, however, would seem to make the incarnation, on a galactic scale, a non-unique event. This is impossible for the reasons above. Also, Heb 10:12 says that after ‘Christ had offered for all time a single sacrifice for sins, he sat down at the right hand of God’ —not to return to make another sacrifice on Vulcan. Also, Jesus will have only one Bride, the church, for all eternity. Not an Earth church bride, a Vulcan church bride, and so on. MW: If nothing else, the discussion about the possibility of life on other planets forces us to think much more clearly about our own Christianity. We hope it is clear that the issues here are not just some minor ‘differences of opinion’, but rather that the whole meaning of biblical Christianity is at stake.